earn2go is for companies that want a web-based computerized maintenance management system (CMMS). earn2go is compatable with Windows, Linux, and UNIX. 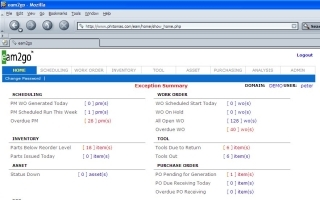 On-demand computerized maintenance management and EAM solution with work order tracking, asset tracking, purchasing, and inventory control.